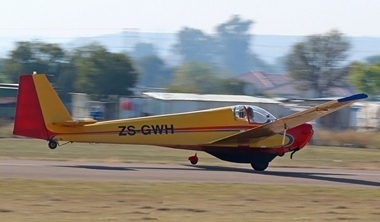 After the cold week we had in Gauteng the weather on Saturday was great for the second Rustenburg flying club fly-in this year. Mauritz Müller, Kobus Holl and their team pulled out all the stops personally welcoming every arrival, followed by a warm cup of coffee at the clubhouse. 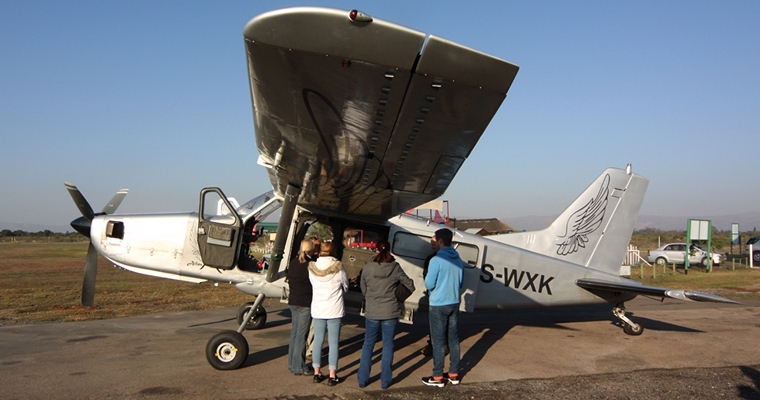 The morning started off very quietly but at exactly 8:00 the first of the approximately 30 visiting aircraft arrived followed by a flood of aircraft from as far afield a Potchefstroom and Vereeniging. 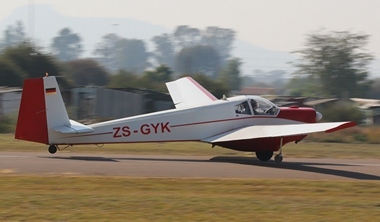 The first to arrive was a Maule M7 Super Rocket all the way from Kitty Hawk airfield. While more aircraft arrived the people already on the ground were treated to a hearty breakfast at the clubhouse, the breakfast was very reasonably priced and the spread they offered was of the top order. The Moro lighters were represented by one trike, two Bantams and a Shadow who despite the cooler winter temperatures still made the effort to support the event. 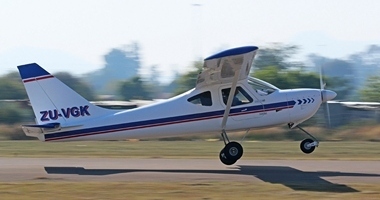 As always the Vans RV range of aircraft was well represented with no less as 4 RV's making their way to Rustenburg for the morning, unfortunately one of them had a slight battery problem but Kobus was quick to help, and they were soon on their way again. Just to keep things interesting two helicopters also attended a Bell 407 and an Alouette III. 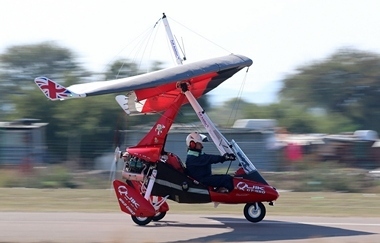 Ben van der Walt spoiled the catering staff with a short scenic flight over the Rustenburg area in the 407, for most of them it was their first helicopter flight they ever experienced. 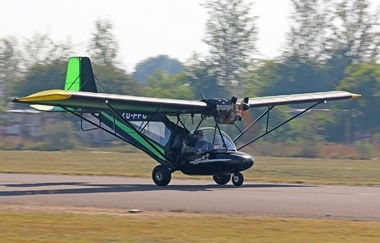 A Sling 4 from The Airplane Factory was joined by a Sling 2, fresh from PTAR with its number still proudly displayed made up the Sling contingent. 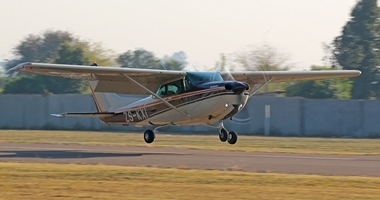 The Balance of the aircraft was made up by a collection of LSA type aircraft and of course the beautiful Grumman AA5 Tiger and a few aircraft from the Cessna stable. 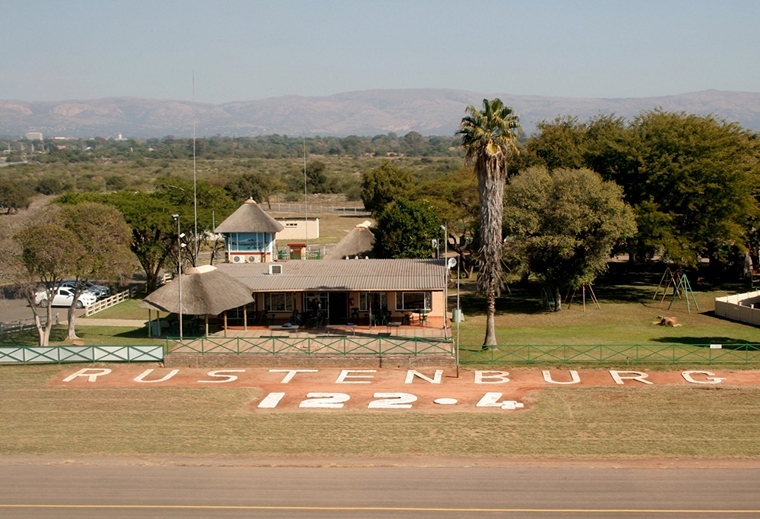 Rustenburg Flying Club is planning on making the fly in a bimonthly event so keep a lookout towards the end of August for the next one.